When writing about residents of SunBird, the word “unique” comes to mind. All are different in many ways. Jan and Walt Griffin are no exceptions. Walt lived in Boston the first six years of his life before moving to Tucson with his family. His father was a welder, but later became a nurse, as was his mother. Said Walt, “He was also a pool hustler, and this brought in some of the money we lived on.” A daughter completed their family. Before we dialed our own party, his mother worked as a telephone operator, as did Walt. And an uncle was a Harvard professor. “I have an aunt who lived in a nice Boston neighborhood then, but now it is so bad we can’t go visit her there,” said Walt. After graduation from high school in Tucson, Walt enrolled in Arizona University with an interest in math and science. Leaving after his junior year, he joined the Navy and was assigned to a carrier where he used his electronic abilities. He was also able to see and visit various places throughout the South Pacific. Jan’s home for most of her life was San Francisco where she enjoyed living. She graduated there and learned shorthand and typing. Both served her well to this day. She worked for Hartford Insurance, a lawyer and for the local government. These positions and others allowed her to use her secretarial skills. For 18 years, she worked at the SunBird Post Office. For a year now, she has been the manager. The two met at a skating rink in San Francisco, partially because Walt had bet a friend that he could get a date. He did, and in 1964, they were married, “after I received a proposal in an envelope,” Jan recalled. Later, two sons and a daughter arrived. Walt and Jan have lived in various states. He had completed college for his B.S. degree in electrical engineering and worked 31 years for Pacific Power Electric in Oregon. Others were California, Wyoming and Montana. 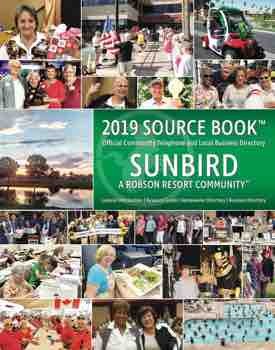 They learned about SunBird from friends, Lynette and Mark Martens, who had lived beside Jan and Walt in Wyoming and showed them around SunBird. In 1995, the Griffins bought a villa, later selling it to Jan’s twin sister before purchasing their present home. They have traveled extensively to west and east coasts, the Bahamas, Caribbean, Ireland and cruises to the Mediterranean, plus some river cruises. Their likes include dances, golf, reading (“when time”), traveling and family. 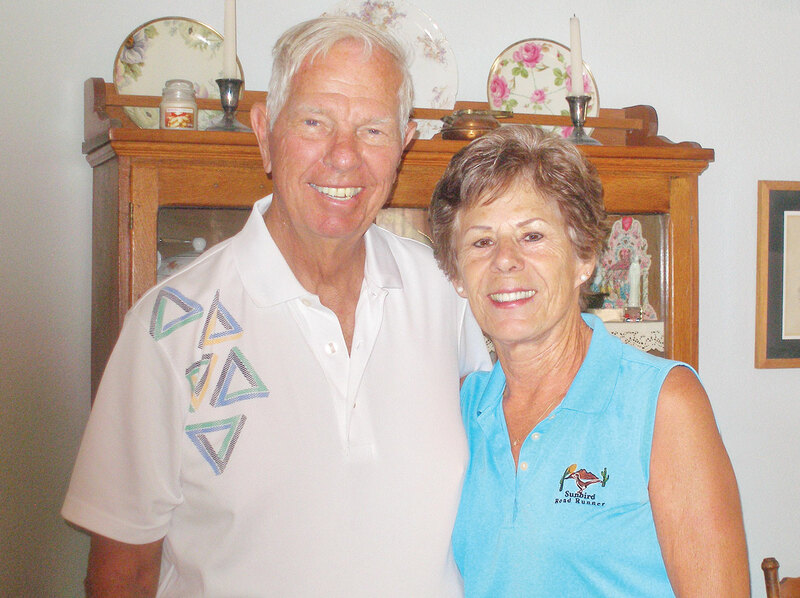 Walt served six years on the SunBird Governing Board. Both Jan and Walt were brought up with strong work ethics, which may account for their years of success in their chosen careers. Both are straight shooters. Ask a question and you get a direct answer, a refreshing characteristic. Though they fully enjoy life in SunBird for many reasons, both are passionate that it become a place where all residents are taken into consideration.